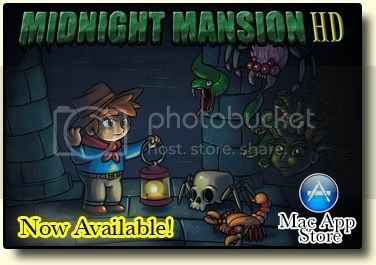 Midnight Mansion Forums - MM games for Mac Sierra and above. Midnight Mansion Forums › Midnight Mansion 2: The Haunted Hills (Mac only) › General Issues › MM games for Mac Sierra and above. MM games for Mac Sierra and above. Re: MM games for Mac Sierra and above. Hi Donna- offhand I think MM will only run with an emulator. This has been a topic of conversation before, maybe someone who has done it can chime in. I tried Parallels and it didn't work for me (El Capitan, I couldn't get sound to work), but I'm going to try Fusion soon. Yes, Midnight Mansion HD is the version you want. The red circle with a line through it means that the game is for PPC chips, and needs Rosetta to emulate it. Rosetta was removed from OS X many releases ago --OS X 10.6 was the last version that came with it. Midnight Mansion HD was a total rewrite of the game that runs fine on modern computers. Or at least it used to... I haven't tested it on the latest OSes. Midnight Mansion 2: The Haunted Hills was never upgraded to HD, so the only way to run it is with emulators or by rebooting with OS X 10.6 or earlier, as others have pointed out. Good to hear from you. Hope you're doing well.